This project, undertaken by Kingston University, researches and pilots student-led interventions in university accommodation to develop students’ resilience over time. The project looks at what prevents or encourages students to integrate. Project leader: Sian Thurgood, Engagement Manager, Kingston University. Total award from AMOSSHE, with support from Unite Students: £5,000. AMOSSHE, in collaboration with Unite Students, is supporting a series of member-led projects related to the theme “student resilience in an accommodation setting”. These projects extend sector knowledge about how Student Services professionals can develop student resilience, specifically within a student accommodation setting, and contribute to the development of a sector-wide student resilience toolkit. It is well established that students are more likely to be open and candid with their peers. The Student Community Makers project aims to collaborate with students to better understand whether student-led interventions can help to create an environment in university-owned and managed accommodation that develops resilience. In particular, the project looks at how student-led interventions can encourage social integration and the building of positive social relationships in halls. Kingston University has over four years' direct experience of working in partnership with students to shape services. Therefore the project team understands the benefits of working in partnership with students. 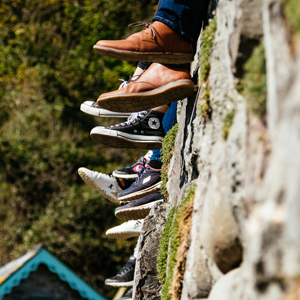 The project aims to research and pilot student-led interventions in Kingston’s university-owned and managed accommodation to see if students develop resilience over time. Carry out research into what prevents or encourages students to integrate, form positive social relationships and access support networks. Hire Student Community Makers to plan and deliver a pilot programme of activities, campaigns and events, informed by the research, designed to support students to develop resilience. Measure the impact of these interventions on students' resilience, and analyse and evaluate the findings to share with the sector. Review existing feedback on challenges and issues that students have faced in university-owned / managed accommodation, which have negatively impacted social integration and building positive social relationships. This will identify gaps in the project team’s knowledge, present some initial hypotheses and suggest approaches. For example, the team is interested in training students to act as mediators to resolve low level conflicts before they escalate and impact on student outcomes. Work with existing Halls Connectors and Healthy Relationship Connectors to explore the question: “What will help you to build positive relationships with your flatmates / housemates?” The project team will run a series of peer-led popup events, workshops and focus groups. Take the students’ recommendations to inform the Student Community Makers programme pilot. Monitor the pilot through regular feedback sessions with Student Community Makers on what is and isn't working. Use an Impact and Evaluation measure on resilience to measure and evaluate the impact of the pilot. Students who take part in the programme will be surveyed at key points at the start, middle and end of the project to measure the distance travelled by the students. This will form a baseline measure to capture internal variances and see if external interventions have developed resilience. In addition, the team will gather stories from a sample of students involved in the pilot to capture how the project impacted them. This is to ensure the capture of in-depth qualitative information to support the narrative of the impact and evaluation measures. It will also indicate if there are any unintended consequences of the pilot. Look at the number of referrals to specialist mental health services, and compare to 2016/17 figures to see if there are any significant differences. Through the pilot the project team will reflect and refine the methodology to ensure the best outcomes for students and develop the team’s learning. A written report on the project findings, including a range of lessons learnt, and research recommendations tailored towards Students Services in UK higher education. A practical toolkit for implementing the project’s learning in other institutions.